Yoko Ono, the name elicits images of long black hair, howling, screaming and emotion inducing artistic statements. Well, it should also now bring to mind, relevant and thought provoking rock music on the cutting edge of a musical blade. Working in conjunction with son Sean Lennon and other musical heavyweights the current Plastic Ono Band Yoko's newest creation, 'Take Me to the Land of Hell' is a divergent collision of dance, Avant-garde, trance, rock, swing and about any other genre of music that you can possibly think of. Spinning in the 'rock room' today, this consciousness stretching piece of art is a work that any connoisseur of experimental yet melodic music will want to dig in to. The images created by Lennon/Ono/Honda's tasteful production techniques frame the narratives of the songs, adding visual mind images to the sounds. Retaining some of the hallmarks of the elder Lennon's collaborations with Ono, this new Plastic Ono Band work, 'Take Me to the Land of Hell' blossoms into a familiar but distinctly expansive and continuously changing direction. The album begins outside, the evening conversation of nightfall creatures, bird chirps and insect bleats set the scene. 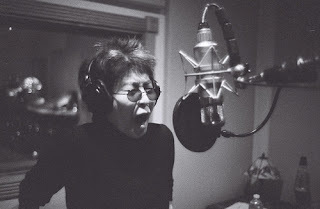 Yoko narrates through clouds, and the inky blue veil drawn over her vocals. The music changes, a dance beat appears then explodes into full on Yoko vocal blasts. The music becomes dramatic with Nels Cline's recognizable guitar strikes lifting the song to a new level. The song becomes a massive theatrical opening to the record, including multiple elements of the bands arsenal, finishing with scathing found guitar sound that segues perfectly into 'Cheshire Cat Cry'. Spotlighting the trio of Ono, Lennon and Lenny Kravitz (playing clavinet and drums) this funky street savvy jam slinks along dropping a down beat reminiscent of David Bowie's 'Fame'. Yoko seductively preaches, smiling slyly, similar to the songs subject. The content hasn't changed for Ono, 'Stop the violence', stop all wars' is the message, a mantra over the fat bass being played by her son. The third track on the album is the sticky 'Tabetai', the song teeters on percussive rhythms, alternating sounds and cosmic effects. The tasty lyrical content is reflected by the mischievous instrumentation and Ono's pleading vocalizations. 'Bad Dancer' follows, and begins as a true 'dance' track with fuzzy hypnotizing bass and jumpy programmed beats. The track becomes gradually twisted by the musical additions of Adam Horovitz and Mike D (Beastie Boys) who remixed the track to feature aural hallucinations. Already in the first four tracks the diversity and talent of the collected musicians is fully on display and appropriately mind blowing. One my personal favorite tracks on the record is the autobiographical 'Little Boy Blue you're daddy's gone', featuring electronic specialists the 'Tune-Yards'. This song contains no guitars, and is an aqua colored drift through soft Fender Rhodes accents and tender bass pulses. Yoko carries the melody vocally, while a fusion of synths, shakers and samples create a comforting layer of sound to which Yoko adds here longing vocalizations. The songs dissipates into a swirled and weightless interlude with Ono emotively lamenting. Another uniquely developed and produced track that only the mind Yoko Ono could have developed. More of a mood than a movement. 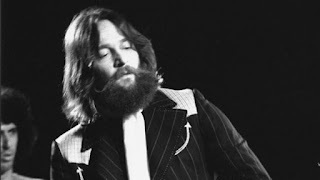 'There's No Goodbye Between Us' contains all of the hallmarks of a Ono ballad, similar in scope to past glories such as 'Hard Times Are Over' and 'I Want My Love To Rest Tonight'. A song about acceptance, regret, and hopefulness for the future, Ono interprets this song beautifully and tenderly, as it contains more ace production techniques covering the song in a spacy mist. '7th Floor' comes rolling in on pulsating percussion and a funky guitar/keyboard combo groove. Direct and aggressive vocals from Yoko seductively speak over the unjulating sea of electric swells and guitar breakers. The strata of the song exposes the essence of Ono's talent and musicianship. Reminiscent in content to past Ono work 'Yang Yang', and containing as delicious of a groove, this track is a peak moment on the album. Kudos to Nels Cline, Sean Lennon, and Jared Samuel for intense contributions, and sympathetic instrumental support. 'N.Y. Noodle Town' begins as atmospheric folk number sung endearingly by Ono, and by its conclusion morphs into a silvery sound scape of guitars. A paean to her adopted hometown, the song rises skyscraper high, and basks in the warm sun. Cline's lap steel is very much a centerpiece, elegantly outlining the text of the song. 'Take Me To The Land of Hell', the title track, is the most straightforward song instrumentally, but also the most naked lyrically. Containing piano, cello, and hummingbird guitar the song chronicles Ono's journey up the 'blood river', to meet her lover 'soul to soul'. Dramatic in its construction, the slightly grim innards of the song increases its gripping power. Featuring Sean Lennon on china doll piano and spotlighting an accompanying string trio, 'Watching the Dawn' sits perfectly in contrast to the previous 'Take Me to the Land of Hell'. The song is an airy Ono directive to, 'Remember we were offsprings of lovers and dreamers, Remember we are descendants of thinkers and builders'. The first blush of day breathes in the gentle accompaniment as Ono adds an obvious but not always heeded reminder that 'We are here together'. 'Leaving Tim' changes things up completely with a 1920's saloon swing, reminding me of 'I'm Your Angel' off of 1980's 'Double Fantasy'. Lightening the mood slightly, the track has an audio verite sound and contains infectious good time foot tapping. Yoko sounds like she having a good time too. Again playing 'Yin/Yang with the track listing, the next and final song 'Shine, Shine' opens with Ono howling like a hammer, her vibrato moans working in conjunction with incendiary instrumentation tastefully remixed by record producer extraordinaire Cornelius. The circular porcupine bass line underpinning the song is massive, providing structure the crisp disco guitar riffs. Ono's performance vocally colors between the lines, adding cinematic contrasts to the pulsating groove. The song taffy pulls in multiple directions at once causing aural disorientation, instruments bounce in and out of the mix, creating a windy vortex of white noise that appears in an almost tangible form, then becomes transparent, dissolving into the swirling sound. Ono's 'Take Me to the Land of Hell' is a divergent array of styles, musical guests, and instrumentation tied together by Ono's songwriting, vocals, and production. The LP is a testament to her continued devotion to peace and artistic expression. 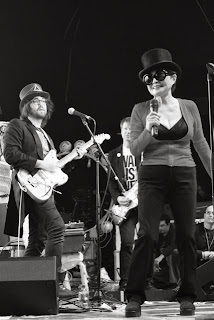 Similary to Ono's earlier recorded efforts with Sean's famous father, Sean Ono Lennon has now taken a lead role as a musical arranger and partner with his mother on her Plastic Ono Band projects. 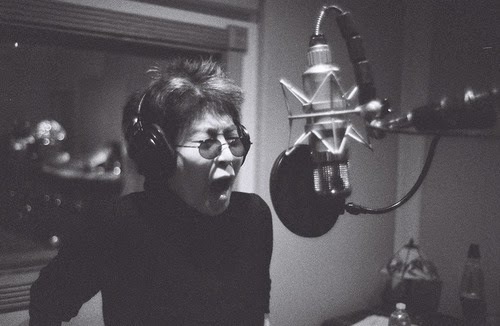 Reaching her 80th birthday, Ono is still relevant artist, collaborating most recently with 'The Flaming Lips' for a live version of "Cheshire Cat' on the David Letterman show. Regardless of any preconceived prejudices about her voice, or her involvement in the breakup of any famous rock bands people may have, Ono's importance in forward movement of art cannot be denied. Whether it be musical or conceptual, Ono's ideas initiate thought and cause reaction. Join the Plastic Ono Band on an excursion through the 'Land of Hell', marvel at the images and sounds revealed to you.